Love the fun summery but Christmasy colors. I was killing time this morning while waiting for hubby to get routine hospital tests done. So I walked over to Fabricville. i walked in the rear entrance, and it looks like Christmas is coming. 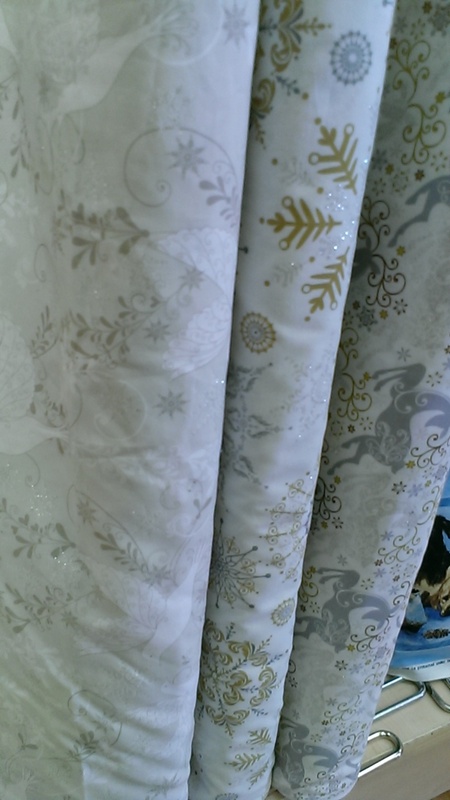 They had half a dozen tables set up with Christmas fabrics. I expect they'll be having a huge Christmas in July sale soon. silver gold and grey motifs. That's got me thinking about what I might make as my Christmas in July Project! Now, that's a good reason to sit down with a cup of tea and do a bit of research. If you see a "Christmas in July Sew along", would you let me know. 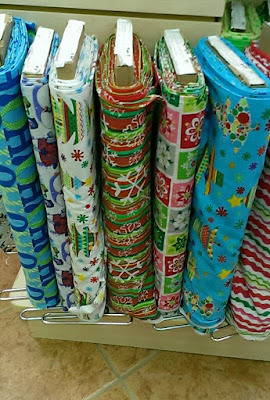 I'm itching to buy some Christmas Fabric!!! Gaak! After the winter we had, I just can't face thinking about Christmas!! I had to turn the heat back on this week - the fourth week of June! - because it was too cold working at my desk. .....what Lee said....LOL! I have 2 tree skirts to make, so keep me posted Gail!